Aspiring motoring journalist JAMES AHREN GRECH takes the new SEAT ‘Mii’ for a spin. Here’s his verdict! 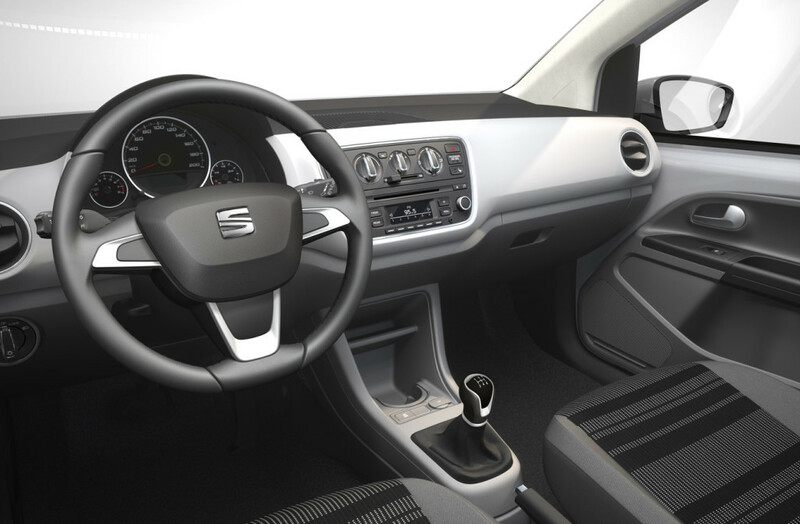 SEAT’s New ‘Mii’ is VAG’s latest offer to city cars, and is quite similar to the VW ‘Up!’ and the Skoda ‘Citigo’ in terms of mechanical details. Nevertheless, the SEAT ‘Mii’ is cheaper to buy and gets its own, individual flavour and styling. Well, to begin with, a surprising amount of space! For a car with such diminutive proportions, the cabin feels light and airy – a breath of fresh air when compared to the many new cars with higher doorsills and lower rooflines. 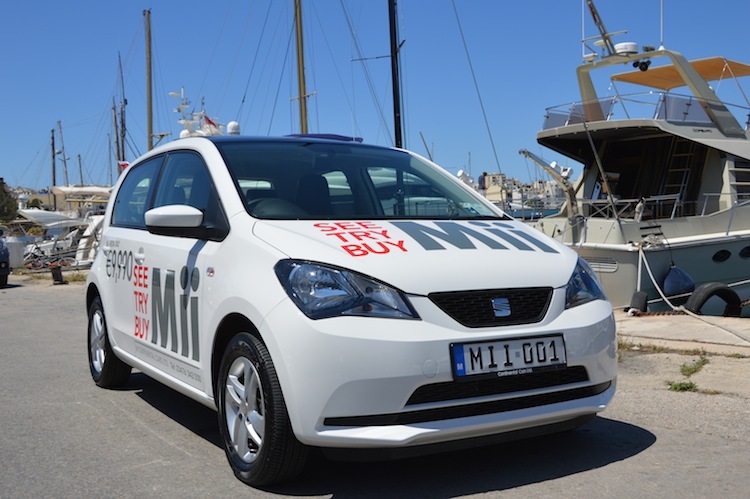 The SEAT ‘Mii’ also feels well put together: the controls have a good weight to them and aside from the absence of soft-touch plastics on the dashboard and doorsills, the contact points (such as steering wheel and centre console) are nice to the touch. The big boot with a full-size spare wheel and the good-quality six-speaker sound system are also a plus. 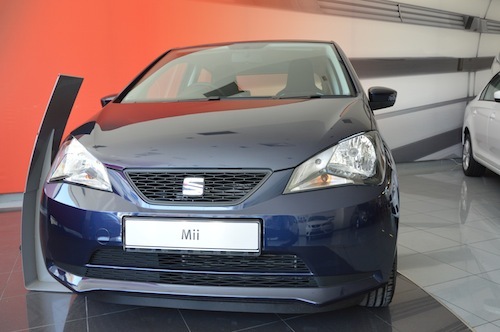 Available from Continental Cars Ltd., the SEAT ‘Mii’ comes with a choice of three cylinder petrol engines, and avoiding the basic variant, all SEAT ‘Mii’ come with the upgraded 75BHP – a 1-litre engine that returns 65mpg. This is available with either a manual or automatic gearbox, and is more than sprightly enough for local driving. The SEAT ‘Mii’ starts at €9,990, however we suggest you go for something a bit more extravagant. As tested, the option of having a five-door with a fully opening panoramic sunroof, parking sensors, and alloy wheels is very much welcome and it doesn’t add that much to the price tag either – in fact, all this comes in at €11,900 (when ordered). The one I would personally go for is the ‘CHIC PACK’, featuring the rather tasty contrast stitching and interior highlights, which makes the SEAT ‘Mii’ a particularly lovely place in which to spend time – if you get what I mean! Well, that always depends on what excites you! 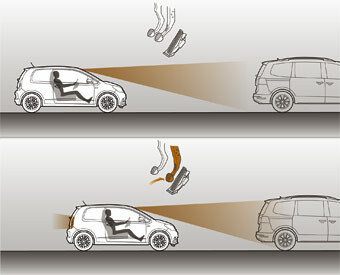 However, with optional technology that includes the brilliant SAFETY ASSIST (a system which uses lasers to scan the front of the vehicle to sense if it is getting too close to anything and automatically activates the brakes to avoid collision) this is very much the ideal commuter’s companion. This also makes for a great and stylish car that is not very expensive, so whether you are a concerned parent looking to buy your child his or her first car, or someone who is looking for a well-built compact run-around, the answer is yes, you should be! Technology you’d expect to find in more expensive models makes the ‘Mii’ feel very well thought-out. Trivial things, like the ingenious hinged loop that opens up smartly into a neat cup holder, make you feel that SEAT put a lot of effort into this car. That said, the one thing that caught my eye the most is the omission of the passenger electric window switch on the driver’s side. This is only a slight snag but one which I found to be a constant reminder that you are, in fact, in a not-so-expensive car. This slight oversight, however, can be easily glossed over when the whole package is considered. In short, I really enjoyed my time testing the SEAT ‘Mii’. It may not be a future classic and it definitely isn’t a garage pin-up, but if you had to condense the essentials that anyone really needs as a daily driver, then this would be the car that sees to all of them. It’s also good to point out that this is a small car that feels spacious; it’s well built, reliable, comfortable, has a boot big enough for modern living, and has an economic engine. To test drive the new SEAT ‘Mii’ for yourself, contact Continental Cars directly on 2347 6350 or 9997 2840 at seat@ccl.mizzi.com.mt. You can keep up with all things SEAT in Malta by visiting their website or their Facebook page.